Bihl+Wiedemann offers the right module for accessing any safety input signal. Both control cabinet modules (IP20) and field modules (IP67) are available. 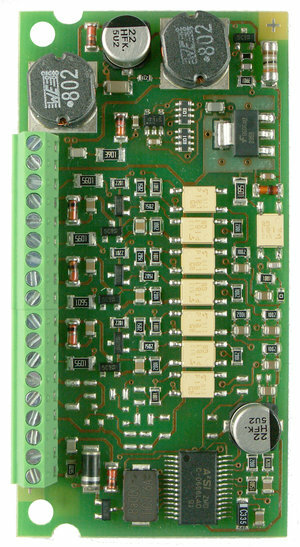 From a single safety input or output to safety multi-I/O modules we offer the right ASi slave for your requirements. 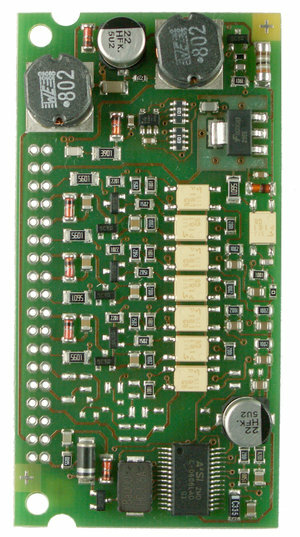 Many of our modules also include available outputs for standard signals. Protected against solid foreign bodies having a diameter of 12.5 mm or larger and against finger contact, not protected against water. Protected against solid foreign bodies having a diameter of 1.0 mm or larger, protected against access with a wire, no protection against water. Protection against dust in damaging amounts, complete protection against contact, protection against splashing water in any angle. Dust-tight, full protection against contact, protection against spray water (jet) from any angle. Dust-tight, full protection against contact, protection against temporary immersion. An externally connected relay (contactor) can be connected via a feedback loop to the Safety Monitor for monitoring purposes. 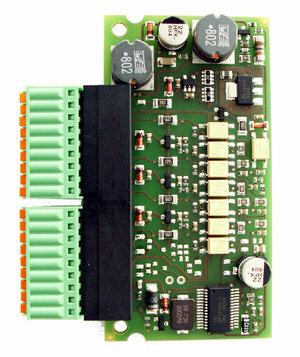 inputs are supplied by ASi or by AUX (auxiliary 24 V power). If supplied by ASi, inputs shall not be connected to earth or to external potential. 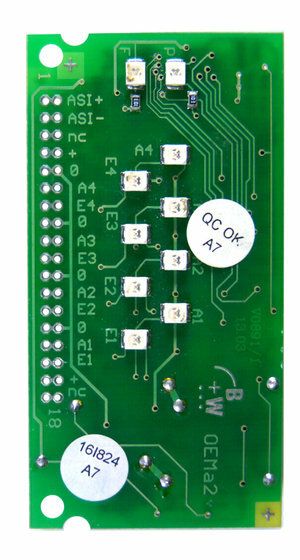 Electronic outputs are supplied by ASi or by AUX (auxiliary 24 V power). If supplied by ASi, outputs shall not be connected to earth or to external potential. For relay outputs the relay contacts are initiated from ASi. 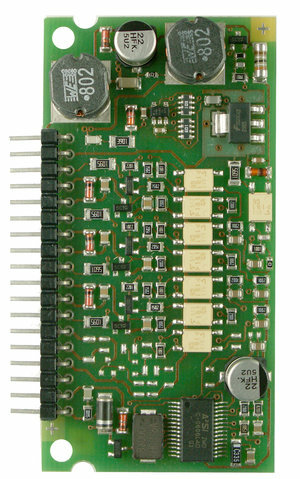 The load circuit is powered externally as specified in the data sheet. PUR line, oil resistant. Further connection options are available on request. the connection to ASi as well to AUX (auxiliary 24 V power) is made via yellow resp. black ASi profile cable with piercing technology or via M12 socket (in IP20 via clamps). AB Slave (max. 62 AB Slaves/ASi network), 2 AB Slaves (max. 31 modules with 2 AB Slaves), Single Slaves (max. 31 Single Slaves/ASi network), ASi-5 Slave (max. 62 ASi-5 Slaves/ASi network), mixed use allowed. For modules with two slaves the second slave is turned off as long as the first slave is addressed to address "0". Upon request, slaves are available with specific ASi Slave profiles. 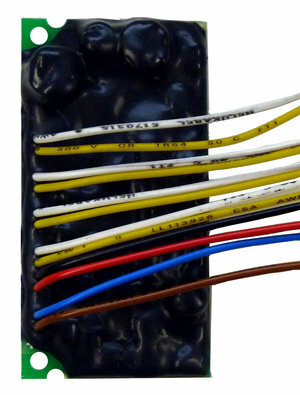 either as a single–wiring, Y–wiring or mixed-wiring. Under normal conditions (no bus termination or repeater), the permissible total length of the ASi segment is max. 100 m. The calculation should take into consideration that the length of the connection cable (round cable) for each connected passive distributor must be doubled. In the case of the active distributors (ASi slaves) however only the one ASi profile cable is counted. Modules with a flat housing design and with cables which exit the sides make these ideal for installation in cable ducts, cable channels, cable troughs, cable rails or cable trays. Please note the respective housing depth for your particular installation. 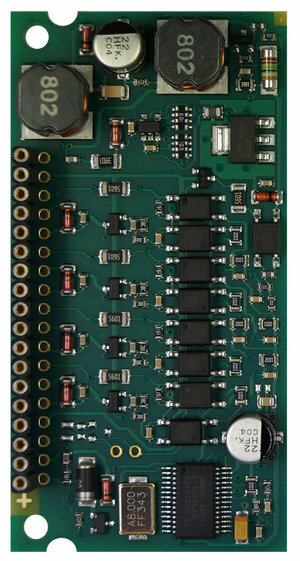 status of in- and outputs is indicated by LEDs. In addition to that, both ASi LEDs (PWR green and FAULT red) show as usual regarding the ASi Slaves- the status of the ASi Slaves. 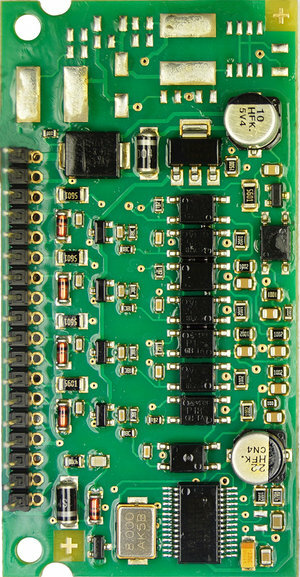 Uaux is indicated by a green LED. coating protects components and circuit boards when touched. further connection options are available on request.